BEIRUT — The Islamic State group has lost all the territory it once controlled in Iraq and Syria, but its shadowy leader and self-proclaimed “caliph” is still at large. 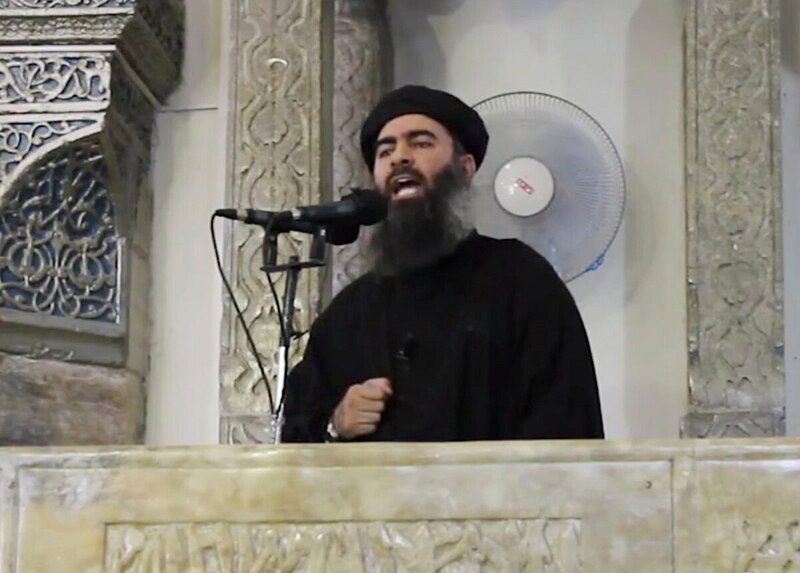 The leader of the Islamic State group apparently resurfaced Wednesday, urging his followers to “persevere” and continue fighting the group’s enemies everywhere in a purported audio recording, his first in almost a year. Al-Baghdadi was born Ibrahim Awwad Ibrahim Ali al-Badri al-Samarrai in 1971 in Samarra, Iraq, and adopted his nom de guerre early on. According to ISIS-affiliated websites, he was detained by U.S. forces in Iraq and sent to Bucca prison in February 2004 for his anti-U.S. militant activity. U.S.-backed fighters claim they have liberated ISIS’ de facto capital of Raqqa, Syria. The group ruled with a virulently extreme interpretation of Islamic law. The atrocities, massacres and beheadings by al-Baghdadi’s militants that followed — many broadcast in grisly and macabre video postings on militant websites — secured ISIS a spot in some of the darkest, most brutal annals of modern history.